A. Ronald King (Ron), beloved husband, father, grandfather, and great-grandfather, went to be with his Lord and Savior on February 4, 2019, attended by family. He was born on March 23, 1924, in Cando, North Dakota and lived there from 1924 to 1943. He was predeceased by his wife of 66 years, Lois H. King, his parents, Abram Rohrer King and Hannah Vaughn Owens King; and his brother Samuel Louis King. Ron graduated from Cando High School, Cando, North Dakota in June,1943 and entered military service. As part of the Greatest Generation, he served three years in the US Navy Air Corp during World War II and served on the USS Midway. Upon honorable discharge, he enrolled at the University of North Dakota and graduated with a Bachelor of Science degree in Commerce. He was a member of Phi Delta Theta Fraternity. He met his future wife, Lois Marilyn Herndon in his senior year. They married in 1949 and were richly blessed with five children and a long marriage of 66 years. Ron, Lois and family lived in the Allentown, Pennsylvania area for 32 years. He was employed in corporate insurance and financial services for 40 years and retired in 1990 from Chrysler First Corporation. They moved to Messiah Lifeways in 1996. Ron spent his life serving others through his church and family, all of whom benefitted from his deep Christian faith and his love of children, sports, and his model trains. Ron and Lois were founding members of Grace Community Church in Wescosville, Pennsylvania. He was active in church ministries as an elder, teacher, youth leader and church administration. 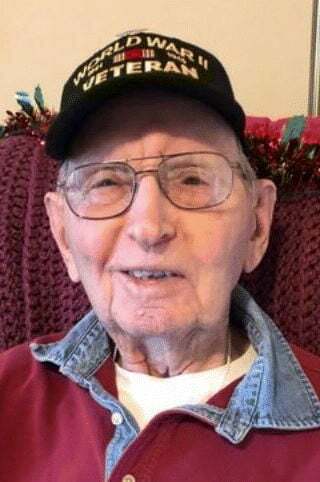 He volunteered for many years as a Grandbear at Children’s Family Center at Messiah Village and was a member of The Cumberland Valley Train Club. He is survived by his five children, Randy S. King (Kristen), Karen R. King, Marilyn D. King, Linda S. King, and Stephen R. King (Carol); eight grandchildren, ten great-grandchildren; and his brothers, Kenneth DeWayne “Dewey” (Peggy) King, and Harold Owen (Barbara) King, along with their large and extended families. Services: 11 a.m. Tuesday, February 12, 2019 at Grace Community Church, 1290 Minesite Road, Allentown, PA. A viewing will be held from 10:30 to 11 a.m. Tuesday in the church. Interment in Upper Milford Evangelical Cemetery, Zionsville. Arrangements by Bachman, Kulik & Reinsmith Funeral Home, Emmaus. Please go to www.bkrfh.com for full obituary. Contributions: In lieu of flowers, donations may be made to Milford Park Camp Meeting Association, 3848 Brunner Court, Whitehall, Pennsylvania 18052-3370.